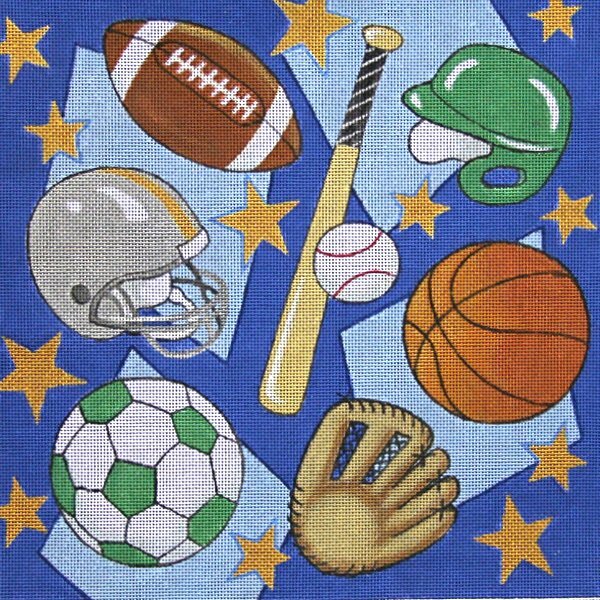 An Alice Peterson needlepoint canvas called Sports Blast AP3465 that is perfect for a boy's room. It features a bright blue background with sports icons from baseball, football and soccer. 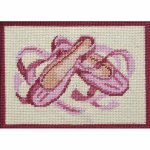 The design is handpainted onto 13 mesh mono Zweigart needlepoint canvas and measures 14" x 14". If you require stretcher bars we recommend two pair of 18". This Alice Peterson Sports Blast needlepoint canvas usually ships within 1 week. If you are in a hurry please let us know or inquire about availability before you order.